After over 100 hands of grueling heads up play, Adam Hourani was finally chipped down to his last 480,000. Both players got it all in on a flop of A Q 8 . Hourani had Galfond's pair of aces outkicked, but the turn was a 6 giving Galfond two pair. The river was a brick in the form of the 2 and Galfond emerged victorious. Hourani finished runner up, earning $493,748. After taking a big hit with a smaller two pair, David Benyamine has been chipped down by Adam Hourani. 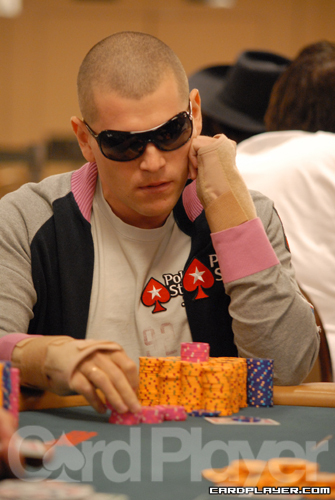 A few hands later, Benyamine lost 600,000 after calling a preflop raise and folding on the flop. Benyamine raised to 175,000 on the button and Adam Hourani made the call. The flop came down Q J 9 and Hourani checked. Benyamine moved all in and Hourani instantly called, showing A-Q-Q-10. Benyamine sheepishly turned over A-A-10-9 and needed some help. The turn and river came 3 8 and Benyamine was eliminated in third place. The players have returned from the dinner break. Chan raised to 120,000 and got called by both David Benyamine and Phil Galfond in the blinds. The flop came J 10 3 and Benyamine bet 55,000. Galfond called and Chan called all in. Benyamine and Galfond then checked down the 8 A turn and river and Benyamine revealed aces up to take the pot and eliminate Chan in fourth place. 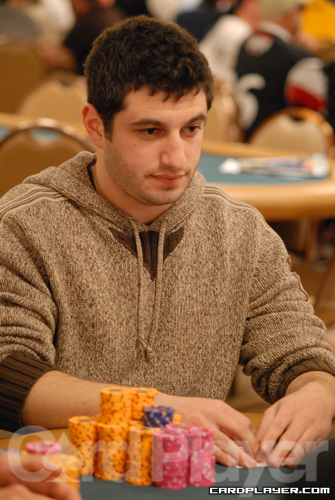 Phil Galfond has over half of the chip in play, but nobody is short stacked and play could last awhile. All three players are patiently biding their time, and there have been numerous walks and preflop steals. NOTE: The players then took a one-hour dinner break. Benyamine limped under the gun, Hourani completed from the small blind and Chan checked his option. The flop came 6 5 3 and Benyamine bet 65,000. Hourani folded and Chan check raised to 265,000. Benyamine called and the turn was the 4 . Chan moved Benyamine all in and Benyamine called. Chan showed 7-5-4-4 for the straight and a set of fours, and Benyamine was slightly behind with A-6-6-3 and a set of sixes. The river was the 5 pairing the board and giving Benyamine the best full house. Benyamine stacks to 1.5 million and Chan takes a major hit dropping to 1.1 million. Galfond raised to 80,000 and Chan made the call. The flop came 10 9 7 and both players checked. The turn was the J and Chan bet 175,000. Galfond called and the river was the 5 . Chan bet 525,000 and Galfond put him all in. Chan mucked and Galfond chipped up to over 3 million. Chan was left with 330,000. Gerasimov shoved from the small blind and was instantly called by Galfond in the big blind. Gerasimov showed A 10 8 7 and Galfond produced A J 8 5 . The board ran out J 9 6 6 6 and Gerasimov was eliminated in fifth place. NOTE: The players then took a quick 5-minute break. Negreanu limped and Hourani raised to 80,000. Negreanu called and the flop came Q 8 3 . Negreanu checked and Hourani moved all in for 110,000. Negreanu made the call. The suits weren't shown, but Negreanu had 8-7-6-5 and Hourani revealed A-A-4-5. The turn and river came 10 3 and Hourani doubled up to nearly 400,000. 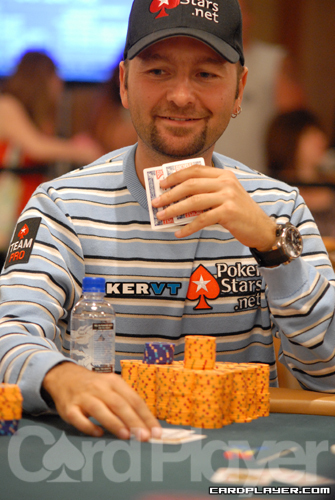 Negreanu was left with just over 115,000. On a flop of 10 8 5 Negreanu got it all in against Galfond. Negreanu had 10-9-7-6 for the wrap draw and top pair and he was up against Galfond's K-J-10-9, top and an open-ended straight draw. The turn was the K and Negreanu needed help and he got it when the river was the 4 and he made his straight. He doubled up to 200,000. Hellmuth got his last 200,000 in against David Benyamine preflop. 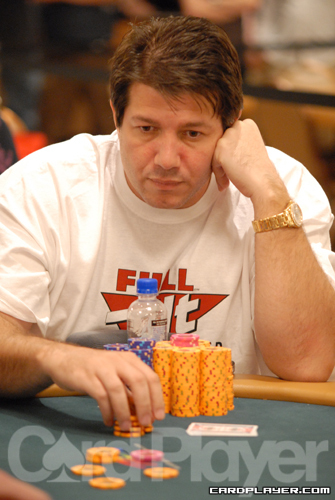 Hellmuth held A K 10 4 but was in terrible shape against Benyamine's A A K 4 . The board offered no help and Hellmuth was eliminated in eighth place. Negreanu found himself all in against Galfond on the short stack. Negreanu held K K J 5 , but he was up against A A 2 2 . The flop came 9 7 5 giving Galfond the nut flush, but the turn was the K giving Negreanu outs to a boat. 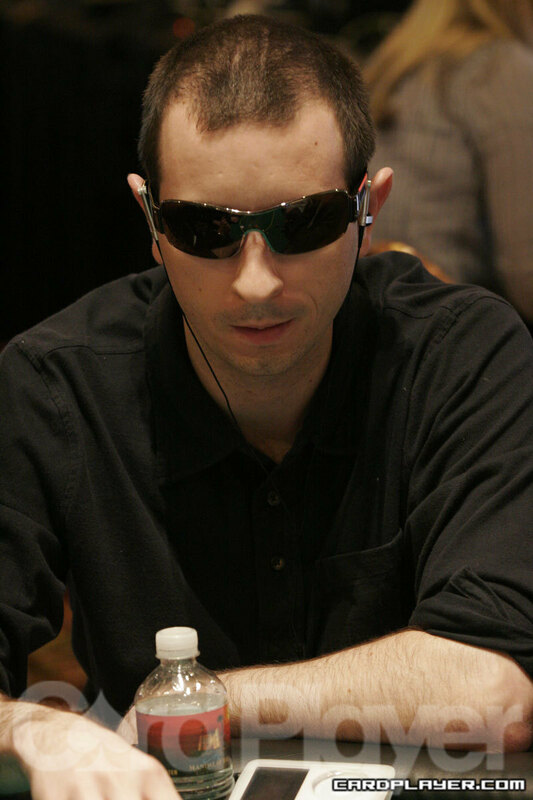 The river was the 2 and Negreanu was eliminated in seventh place. Chan completed from the small blind and Juanda checked his option. The flop came 9 8 2 and Chan bet 48,000. Juanda reraised to 196,000 and Chan put him all in. Juanda called showing K 10 9 7 but was behind to Chan's 10 9 8 2 . The turn and river came 7 2 and Juanda was eliminated in sixth place. NOTE: The players then went on a 30-minute break. The final nine players seem content with patient play and limping has become the reoccuring theme thus far. 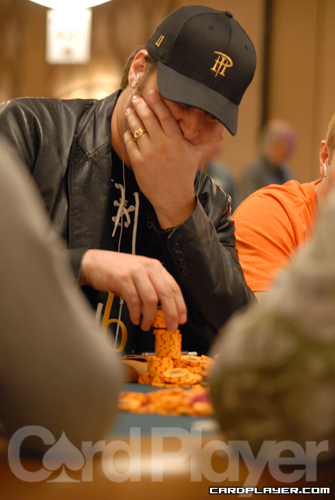 The blinds are beggining to get a bit high, but only Phil Hellmuth is feeling desperate at the moment. 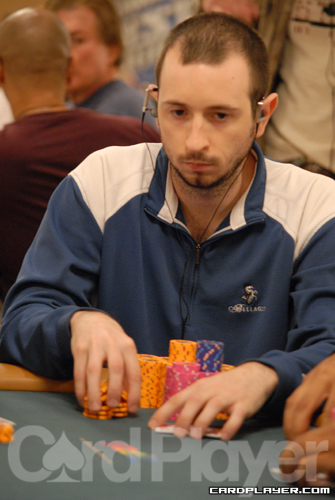 Coming in as one of the chip leader didn't mean much as Brian Rast was the first to go. 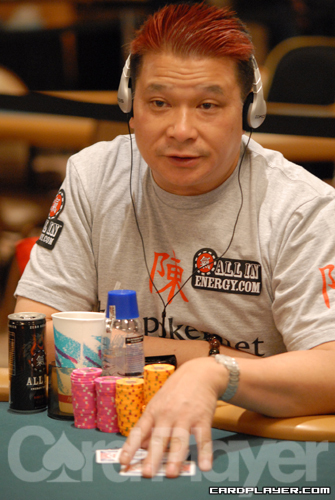 Rast had terrible luck at the final table, and it continued at the hands of Johnny Chan. Negreanu limped, Rast raised to 70,000 on the button and Chan called in the big blind. The flop came J 4 3 and Chan checked. Rast bet 126,000 and Chan moved in. Rast made the call for his tournament life and revealed J 10 7 6 for top pair, a flush draw, a back door flush draw and a gutshot straight draw. Chan showed A 9 7 9 for a lower pair, a better flush draw and not much else. Of course, against Rast the turn and river came Q A to give Chan the pot with a lowly pair of aces. Rast was eliminated in ninth place. With the elimination of Rast, Daniel Negreanu has officially made a profit in this tournament. He was in for $85,000 in rebuys, and is now guaranteed to walk away with about $15,000. Action was folded around to Hellmuth in the small blind and he completed. Benyamine checked his option and the flop came K 6 4 . Hellmuth checked and Benyamine bet 25,000. Hellmuth made the call and the turn was the Q . Hellmuth moved all in and Benyamine made the call. Hellmuth revealed K-Q-9-7 for top two pair and Benyamine was behind with K-6-4-3 for a small kings up. The river was the Q and Hellmuth doubled up to around 240,000. Rast raised to 48,000 under the gun and Johnny Chan reraised the pot to 168,000. Rast moved him all in and Chan called. Rast showed down A A 5 4 and Chan showed....A A 9 2 . The flop came down Q 10 2 and what looked like a chop turned into nearly a freeroll for Rast. The turn was the 4 but the river was the 2 giving Chan trip twos and the entire pot to double up to 1.2 million. 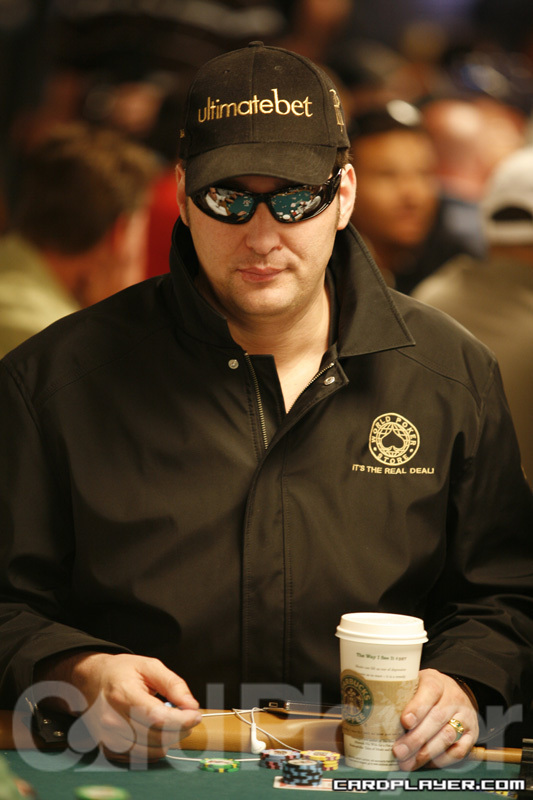 We can't tell with all that black on, but it looks like Hellmuth is starting to sweat just a little bit. Brian Rast just can't catch a break. He raised to 34,000 and Hellmuth moved all in for 66,000. Rast called and showed down the best hand once again with A A 2 2 . Hellmuth needed a little help with K K 5 4 . The board ran out J 8 8 K J and Hellmuth caught a king on the turn to stay alive and keep his 12th bracelet hopes alive. Rast, who has been berated by Hellmuth for his "awful" play thus far, is doing his best to not get frustrated. NOTE: The players then took a 10-minute break. The players are now seated in the Milwaukee's Best Light Lounge Final Table area and are ready to begin. After a short introduction of each player that gets more than usual applause from the audience, the cards are in the air. Well, by now it should be no surprise. The final nine players in the $5,000 Pot Limit Omaha w/ Rebuys tournament are simply made up of the best in the world. Day after day a top player has taken down another bracelet, and with 8 out of the 9 remaining players as a notable poker superstar, the odds are good that the trend will continue. Here are the chip counts heading into the final table. Online cash game phenoms Phil "OMGClayAiken" Galfond and Brian "tsarrast" Rast lead the way, but right on their heels are David Benyamine, John Juanda, Kirill Gerasimov and Daniel Negreanu. Johnny Chan will be looking to tie Phil Hellmuth's bracelet record at 11, but Hellmuth has a bit of control in the matter as he guns for number 12. Stay tuned to CardPlayer.com as we bring you all the action, live from the tournament floor at 3 p.m. PST.